You won't be able to buy keys anywhere else after March 15. 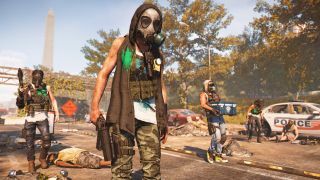 Ubisoft’s distribution deal with Epic Games on the sale of The Division 2 isn’t just keeping the upcoming game from Steam, it’s also going to prevent digital sales from third-party sites like Gamesplanet and Green Man Gaming once it launches March 15. A ResetEra user spotted a notice on Gamesplanet’s store page for The Division 2 that announced that Uplay keys won’t be available after March 15. That other “exclusive digital store” is of course the Epic Games Store. Ubisoft announced in January that the company had struck a deal with Epic and had no plans to launch The Division 2 on Steam. However, at that time it wasn’t clear that third-party key retailers, who generally sell keys for use on Steam, Uplay, or EA’s Origin launcher, would be barred from selling the game as well. The Epic Games Store has moved aggressively to secure exclusive rights to PC game distribution since its launch in December, snagging sole digital distribution rights for 4A’s Metro Exodus in January after that game had been available for pre-order on Steam for months. That’s angered fans, who alternatively used both positive and negative review-bombing campaigns to express their discontent. For its part, Ubisoft seems confident in its partnership with Epic. “We entrust Epic to deliver a smooth journey for our fans, from preordering the game and enjoying our Beta to the launch of Tom Clancy’s The Division 2 on March 15,” Ubisoft’s vice president of partnerships Chris Early said while announcing the deal, adding that Ubisoft “wants to support” Epic’s third-party distribution model. As of this writing, Uplay keys for The Division 2 are still available from Gamesplanet, Green Man Gaming, and GameStop.